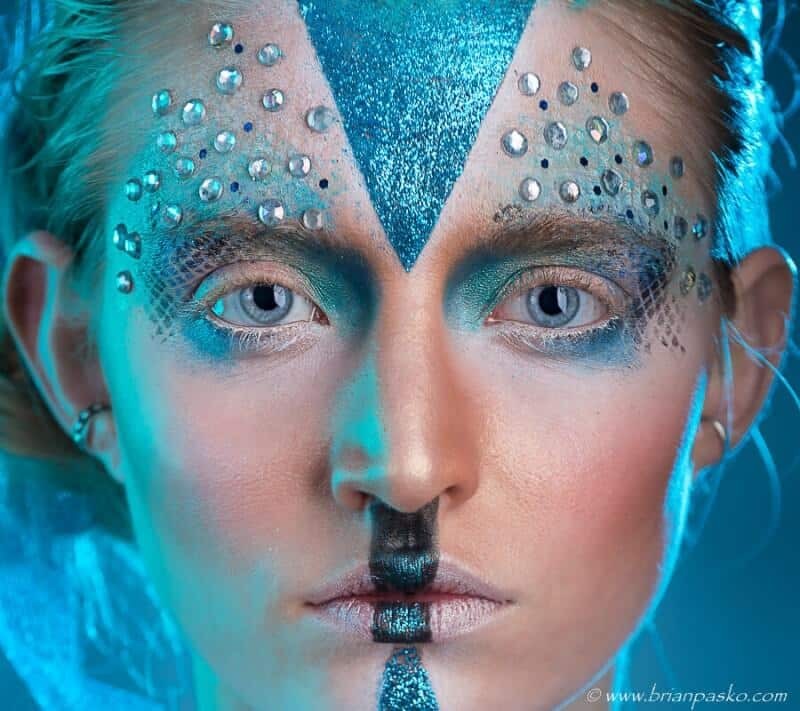 In April, Brian Pasko Photography opened up the doors of our new studio located in Boring, Oregon and we were quickly off to a great start with this fashion series entitled “Age of Aquarius.” It turns out that the first portrait session shot in the new studio resulted in print publication in Freque magazine! 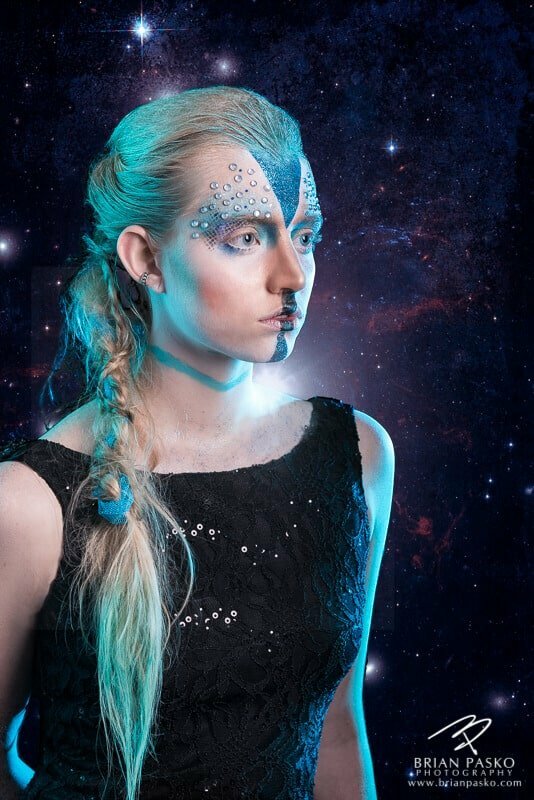 The idea for this portrait shoot was initially conceived by Sasha (pronounced “saysha”) Steifel of Sensayshanal Makeup Artistry. Those who have worked with Sasha know that she is the makeup artist that can tackle anything—from brides to high school seniors to high fashion and theatrical makeup. 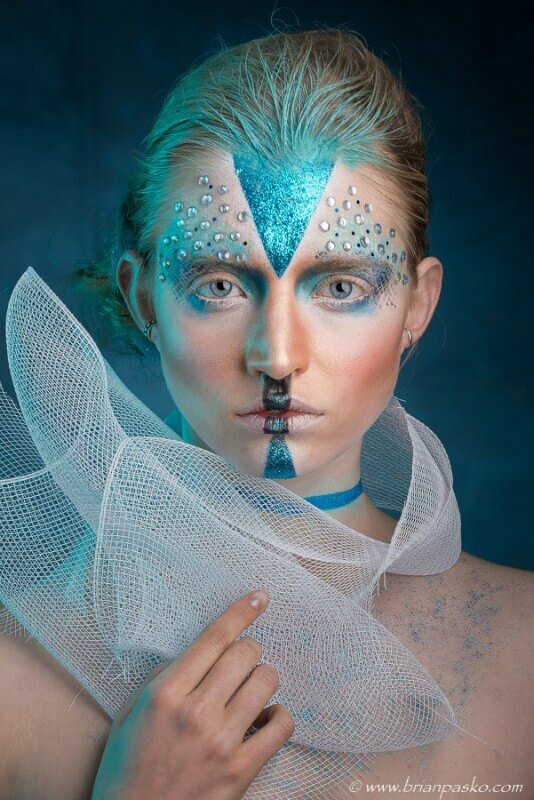 In this case, the design and photography revolved around the theme of “blue” and we were aiming for an otherworldly, almost alien, look and feel. Whatever the challenge, time and time again I’ve watched Sasha Steifel pull up with her giant “toolbox”—I’m almost certain she carries around more professional gear than I—and make magic happen with faces of all shapes and sizes. She’s just amazing to work with and I highly recommend her to my clients. And we were privileged to work with the insanely talented “multi-media model” Jordyn Grae. A student, dancer, yoga instructor and more, Jordyn has modeled professionally for editorial shoots and on runways world-wide. And, remember! You don’t need to be a professional model to create amazing images! Contact Brian Pasko Photography today and let us tailor a portrait session that will show off your or your family member’s unique personality and style!